While it is well known that dolphins travel in pods, this mega-pod seen traversing the waters off of California is a rarity. 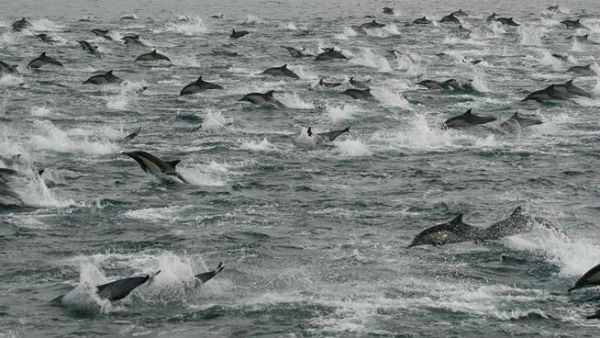 Eyewitnesses estimated that there were over 100,000 dolphins, and the area they encompassed, seven miles long, five miles wide. Wow. Wish I could have been there.